Family trees have been compiled for a number of related families. The Guillon family from France is currently being researched by Tim Woodward. See the site www.guillonfamily.co.uk for more details. The Dawn family from Nottinghamshire, England, (1730 - 1962), are related to the Guillons by marriage (show me how). The page contains photographs of the graves of the main ancestors from Granby and Bingham, Nottinghamshire. There are descendants of the Dawn family living in Canada. 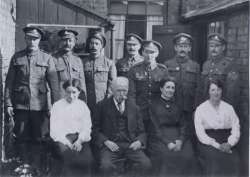 Johnson Family: Annie Johnson married Horace Woodward in Selby Abbey, Yorkshire in 1919. They then moved to Burton on Trent. The tree goes back to 1811 in Liverpool. Catherine Baker (nee Outram) almost sailed to America on the Titantic in 1912, but stayed behind as she was due to marry one of the Baker Brothers. Read about how she missed the terrible ordeal that was the sinking of this great ship and how her employer's son, Tyrell Cavendish, drowned. The Baker's were related to a family of Jeffery's in Longford, Alkmonton and Hungry Bentley, Derbyshire, and their history is included in the Outram family tree, available here. The names below are those of people who married into the Woodward line from the 1680s onwards. Click on the appropriate link to see their family tree. As part of the research into the Woodward family from Alcester, a lot of information about other Woodward families from the same area has been gathered. If you have any knowledge of these families please contact me. The family trees below are in pdf format. You can use the tools in your pdf reader to enlarge each tree, making them easier to read, or to save a copy to your own computer. Click on the appropriate link below to see the specific family tree. Thomas and Edward Woodward (Chipping Campden, Gloucestershire) - Master Stone Masons. This family has been researched in depth to see if they are related to the Alcester family of Woodwards. They had a house in Chipping Campden called 'Woodward House' and my Great Grandmother came from the town in the 1860s. Thomas and Edward made extensive repairs to Alcester Church and Quinton Church, both places where the Alcester Woodwards, also stone masons, have links. The family cannot be linked specifically to the Alcester Woodwards, but if you are a Woodward from the Chipping Campden area or have Woodward relatives from the town or from Aston Sub Edge then this family tree may be of interest to you. Thomas Woodward & Mary Oakley (Stratford on Avon) - This family, Thomas Woodward and Mary Oakley in Stratford on Avon, has been researched to see if there is any link to the Alcester Woodwards. Thomas and Mary were married in Stratford on Avon in 1733 and had eight children. 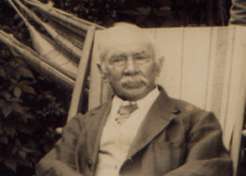 Both Thomas and Mary may have come from Quinton, Gloucestershire (now in Warwickshire) and their eldest son, Thomas Woodward, married and had children in Clifford Chambers, Quinton and Stratford. There are also links to a family named Pool from Chipping Campden, and two Horton/Hawtin families. The family tree may help someone who is looking for Stratford relatives from 1730-1800. Walter Woodward (Morton Bagot, Warwickshire) This Woodward family going back to the 1640s has been researched extensively. The family is based in Morton Bagot right up until the 1830s, but also has links to Oldberrow, Tanworth, Studley, Alcester, Coughton and Gt Alne. A copy of the tree is available but I cannot as yet link it to my proven Woodward family from Alcester. Contact me if you are related to this family and have any leads. Richard Woodward (Morton Bagot, Alcester and Tanworth) - Two Richard Woodward families living in and around Morton Bagot in Warwickshire have been researched extensively. One married Mary Moor in Stratford on Avon, the other married Ann Hinton in Morton Bagot. They could infact be one family with Richard marrying a second time after the death of his first wife, but one of the Richards could also have come from Throckmorton and could be related to the Woodwards at Morton Bagot. There is a William Woodward and Hannah couple in Stratford on Avon who had seven children between 1784 and 1809. No marriage for this couple is recorded in Stratford. The only possible wedding is a William Woodward and Hannah Goode in Aston Cantlow in 1774 - they had a son William who died as an infant in 1775. There are no other children born to the couple in Aston Cantlow. It could be the same family who later moved to Stratford but there is a nine year gap before the first child is born in Stratford making it unlikely that it is the same couple. The Stratford couple may be related to Thomas Woodward and Mary Oakley as they both had daughters called Lydia, a fairly uncommon name for the period. As part of the work to find out which William Woodward married Elizabeth Richards in 1789 in Alcester (direct ancestors), research has been undertaken into the origin of the parents of the main contender, a William born 1760 in Alcester. A large family tree linking William's parents, John and Hannah Woodward, back to 1590 in Lower Quinton, now in Warwickshire but once in Gloucestershire. The tree also links in to the family of Thomas Woodward and Mary Oakley from Stratford on Avon, mentioned above.